Small town reporter, Mia Durante, finds herself having brunch with the President of the United States on the day civilization comes to an end. Survivors of a different sort greet those who lived. What follows leaves Durante and nine other survivors on the run and they find themselves fighting for survival in a world in which only torment remains and where death is the only escape. The book also doesn’t explain every tiny detail of how something happened and allows the reader to think more for themselves and invites them to draw their own conclusions. This is most evident in the question as to what caused the mutation of the human race to begin with. Readers may find the ending unexpected and personally it wasn’t an ending I had hoped for. That is not to say that it was a bad end to this gripping story, but I wanted so much more for Mia and wanted her to understand that she wasn’t a bad person, no matter what decisions she made. 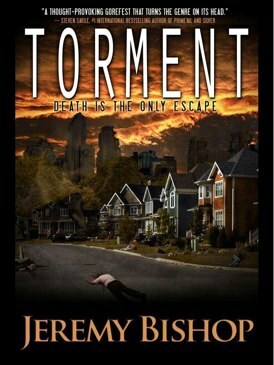 Despite my hope for a different ending, I really enjoyed reading Torment; it was very easy to visualize what the characters where seeing and going through. 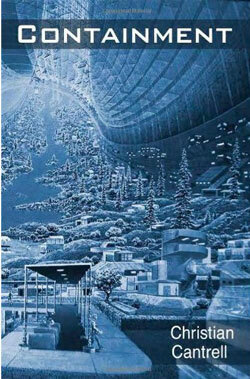 And again I enjoyed being able to draw my conclusions about the mutated beings. 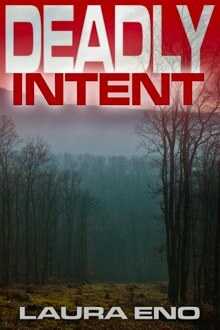 I enjoyed Laura Eno’s Deadly Intent very much and it was really hard for me to put it down because you can so easily get caught up in the events of the town and it’s people. You always feel that you need to know what is going to happen to them. Deadly Intent is a story with emotionally driven characters that are very easy to relate too. You can’t help but feel for Jonathon and sympathize with his granddaughter Abbie as they both fight for what they hold dear. In the small idyllic town of Wood Park, California a mysterious virus is causing the ordinarily law abiding citizens to act out their most primal desires. Add to that an amnesiac stranger with a nasty criminal past and you have Deadly Intent by Laura Eno. The trouble in Wood Park begins with a torrential down pour accompanied by a lightening storm that wreaks havoc on the town and continues to do so even after the CDC arrives to “help” the town folk of Wood Park. Jonathon Brier, sheriff of Wood Park, is pushed to his breaking point while trying to figure out what is happening to friends and family. As you read, you can really feel Jonathon’s stress, sadness, and confusion while he tries to fix the problems in his town. The only contention I had was that Deadly Intent flipped between perspectives a lot and at times and it wasn’t always clear who’s point of view I was reading from. But other then that, Deadly Intent is a great read filled with all the trimmings that make Sci-fi such a wonderful genre to read! The description of the Freakshow lab reminds me of the survival horror game Nocturne in which the main character works for a government organization called Spookhouse that operated like the FBI for all things supernatural. Freakshow gives you a glimpse into the life of Natalie Harper, girl genius, who runs the Interdisciplinary Departmental Investigation Of Technomagic. While working insider her lab, we get to see a typical day for Natalie, if it can be called typical when she is asked questions like “Where should I put the head, Dr. Harper?” But after all she does have a hand for an assistant! Jones creates a world of horrible wonder with Frankenstein heads in boxes, mysterious eggs, and an otherworldly beautiful man that is hell bent on tempting Natalie to join him and his nefarious ends. I found Freakshow to be very refreshing because of the strong female lead character, but also found her assistant Vincent was an unexpected and enjoyable twist. Natalie herself is beyond smart, personable and easy to relate too. 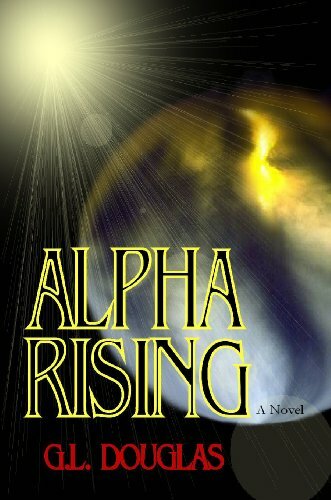 This, along with the fantastic world she portrays, makes this short story a good read for the female Sci-fi enthusiasts but is not exclusive to women… so don’t be afraid boys! 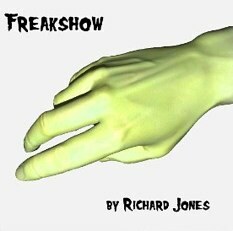 One downside to Freakshow is that it had the makings of a full-length novel and could have easily been expanded to a full series, diving into more of Natalie’s adventures while working at Freakshow. And that is my only point of contention with this story. If you’re looking for a fast, and I do mean very fast, read and something that is on the lighter side of Science Fiction, but still an amazing story that you should definitely read! You are currently browsing the archives for the eBook Review category.